Italy has everything, wonderful culture and style, cuisine and wine, chic beach resorts, mediterranean Islands pre alpine lakes and the mejestic Italian Alps. From Milan to Rome from Lake Garda and Como to the Dolomites from Venice to Verona or Sciliy and Capri to Sardinia and don't forget Tuscany, Umbria and Sorrentto's Amalphi coast. Itlay most definately has it all. Lake Garda holidays Lake Garda is Italy's most famous pre alpine lake and makes a top notch holiday destination. 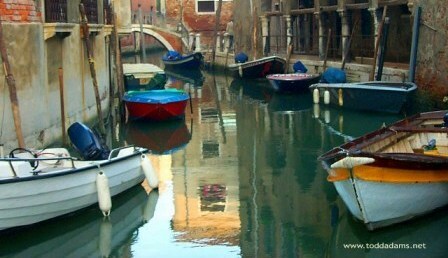 Conveninetly close to Venice and Verona Lake Garda is wonderfully located in northern Italy. Venice holidays Venice is one of the most beautiful cities in the world. Built on more then a hundred islands, the city's architecture is a mixture of Renaissance, Byzantine, and Gothic styles. 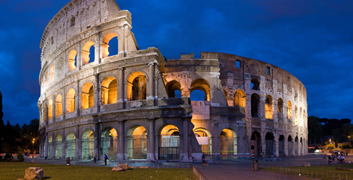 Rome & Lazio holidays Rome has arguably more to see than any other city in the world and Rome has an atmosphere that is unique. Tuscany & Florence holidays Tuscany is archetypical Italy with walled towns, cypress trees, rolling vineyard covered hills , wonderful countryside and a perfect climate. At its heart Florence with it's Ponte Vechio bridge over the river Arno and Duomo is a city of Renaissance art. The tower lying high above the hill, the ancient portal and the 18th c building of Belvedere Castle dominate Lake Garda and form part of the serene beauty of a 50,000 sq m Natural Park. 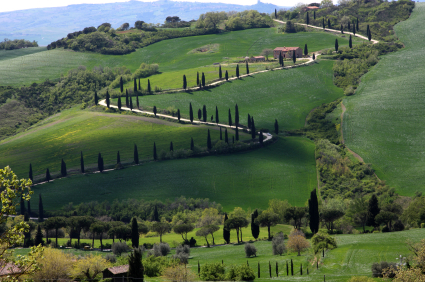 This agricultural region, in the very heart of the province of Siena, is one where unfurl landscapes of an insurmountable beauty, dominated by the ramparts of fortified towns such as San Gimignano and Pienza. To the north are the vineyards of Chianti, which certainly produce some of the best Italian wines. The south is characterised by the clayey hillsides of the Crete, laid bare by innumerable storms over the centuries. This residence is located amid our 18-hole Golf Club Paradiso del Garda and is the perfect destination for all guests loving a relaxing atmosphere and the independence of a holiday in apartment. At first sight, Grotta Giusti Natural Spa Resort simply appears to be a delightful 19th Century Tuscan villa surrounded by attractive gardens. But, concealed behind its doors there lies a world of surprises including rooms with frescoes, exquisite Tuscan food and a spa with a difference. Hotel Desenzano, a first class hotel, has been built using the latest technology which, combined with the extremely elegant surroundings and the excellent service provided, allows us to accomodate the most refined clientele. In the closeness of the hotel is possible to practise a rich program of sport activities: tennis, golf, mini golf, water–skiing, paraflyng, wind-surf, horse–riding, Go-kart; is also easy to rent mountain bikes and small boats. Besides excursions in the typical local towns is also possible to spend enchanting days at Gardaland park or in Caneva World (this is an acquatic park). Furthermore you can visit the zoo or you can spend a relaxing day in the new termal Garda’s park, as well as a magic night at the Arena (for the Opera). The Hotel is equipped with private parking, lift, panoramic view, swimming pool with garden and a terrace’s bar. 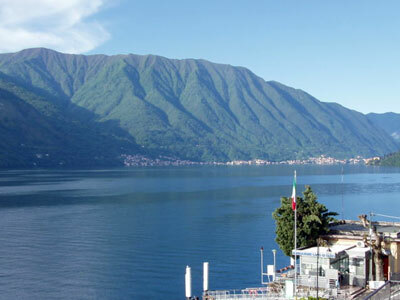 This Hotel has been totally renovated and is located directly on the shores of the lake. Rooms are equipped with bathrooms with shower, WC and hairdryer, telephone, safes, television set and balconies with views of the lake. Lombardy is the richest region, the most highly developed and the most densely inhabited of the whole of Italy, and as a consequence is one of the most surprising to the visitor. It possesses an impressive historical, monumental, artistic and natural heritage, offering all the different styles : Roman, Gothic, Renaissance, Baroque. Natural landscapes are in abundance, lake Garda is the biggest Italian lake, where you will discover fascinating landscapes and remarkable signs of the past,each age having left its cultural and artistic stamp. The magnificent atmosphere of the nearby Boboli Garden, the beauty of the halls of the Uffizi Gallery and Ponte Vecchio with its stunnig sunsets, are only some of the memories that will make your stay unforgettable. Magnolias, palm trees, oleanders and olive trees are reflected in the « azur Madone » stretch of water, which seems to be awaiting the return of the Venetians. The decades of influence of the neighbouring Venice remain indelibly imprinted in the ochres and yellows of the houses and palaces. Lake Garda enjoys an exceptionally warm and sunny climate, enhanced by the natural beauty of the Mediterranean. A holiday village located in a quiet position right one the lake near the new Virgilio Spas and Sirmione town centre. Flats (with one, two or three rooms) with balcony, private bathroom, direct-dial telephone, colour satellite TV and safe. Car park, garden and private swimming-pool. Florence alone embodies the whole of the Italian renaissance, thanks to its rich, architectural heritage and its unique museums. Any trip to Tuscany would be incomplete without a visit to Florence. Florence, both pleasant and fascinating, still preserves to this day, the same architectural aspect as that of the ancient city, which, from the end of the Middle Ages, was the political and cultural leader in Europe. Even if this is one of the Italian towns the most invaded by mass tourism, its artistic heritage makes it a unique place in the world, where the concentration of museums and masterpieces goes beyond all imagination. The very name ‘Tuscany’ is enough to set the heart racing. In itself it is a perfect miniature of creation, with its mountains on a perfectly human scale, its attractive valleys and a harmonious combination of forests, plains and vineyards. The green hillsides of the Val d'Elsa and the gentle slopes of the hills around Florence are the epitome of beauty itself. Situated in Montaione, BORGOIANO offers a magnificent view over the beautiful Tuscany hillsides, cultivated with vineyards and olive-trees. A world of art and history open up beneath your feet. Montaione is built on a hillside in the very heart of Tuscany, where the roads wind their way along gentle sloping hillsides, covered in vineyards and olive groves,in the most magnificent countryside. Montaione is an ancient little market town, in in an area marked by the presence of Roman civilisation. Art and culture lovers will be delighted to find that the famous, cultural towns of Florence, Sienna and Pisa, are all close by, less than an hour's car journey away.